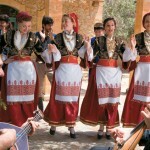 When the last tourists return to northern lands in autumn, Cretan interests swiftly turn to the olive harvest. 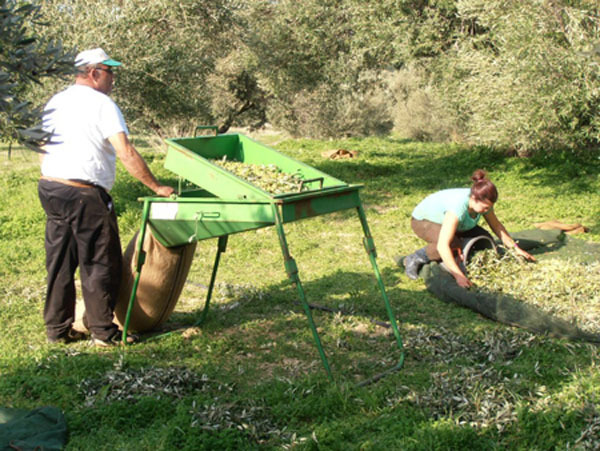 Workers at the olive mill in Koutouloufari prepare for a flood of local olives. 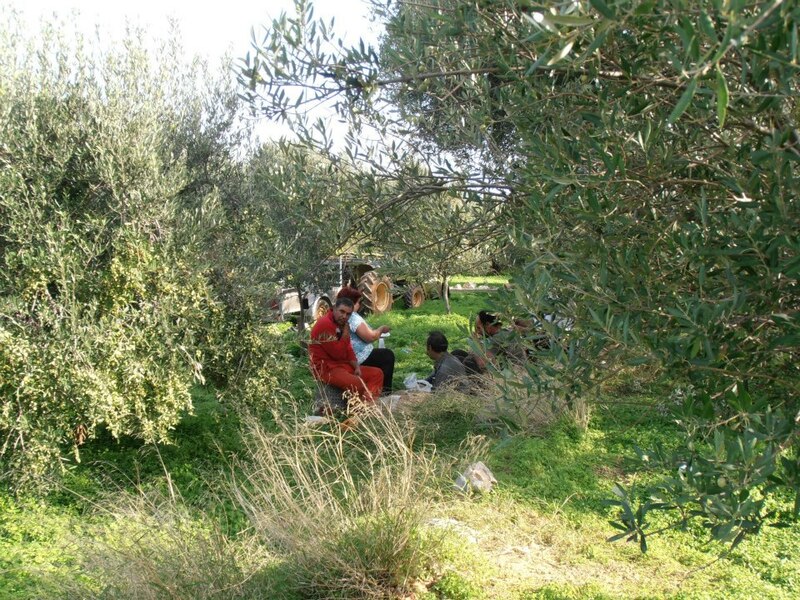 Not far away, near our home in Ano Hersonissos, growers inspect their crops for maturity. 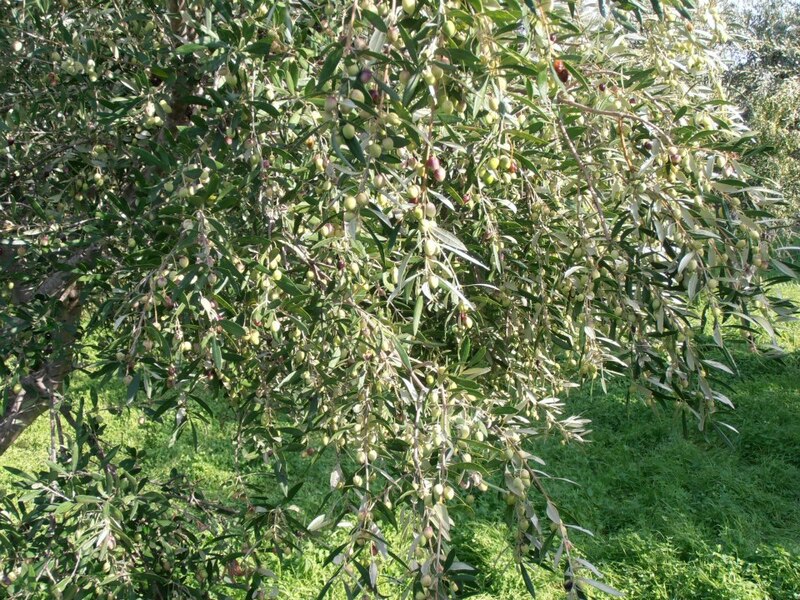 We had several rainfalls, but many olives were still small and hard in October. Important choices must be made. 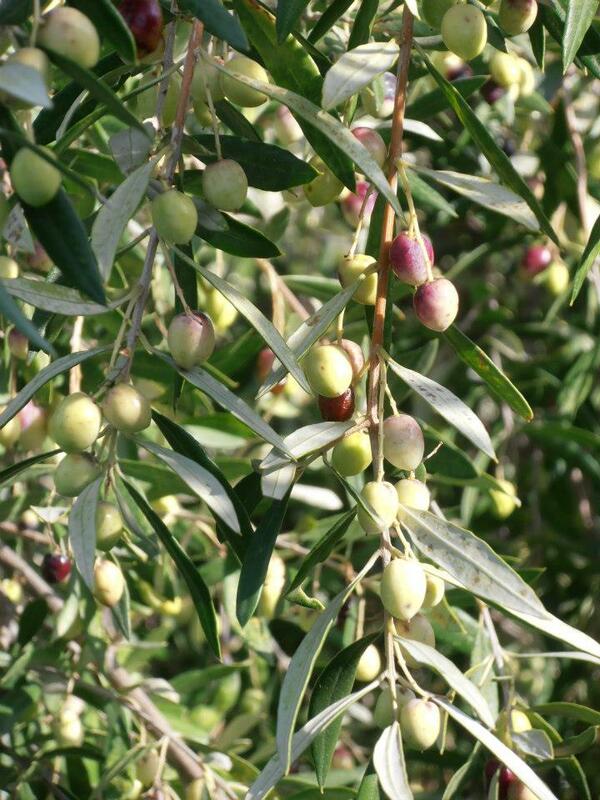 Harvest time depends on many things, including olive variety, temperature, sunlight and water. Every grower knows his decisions affect the value of his harvest. Cooler weather can result in unripe fruit clinging to trees well into winter. 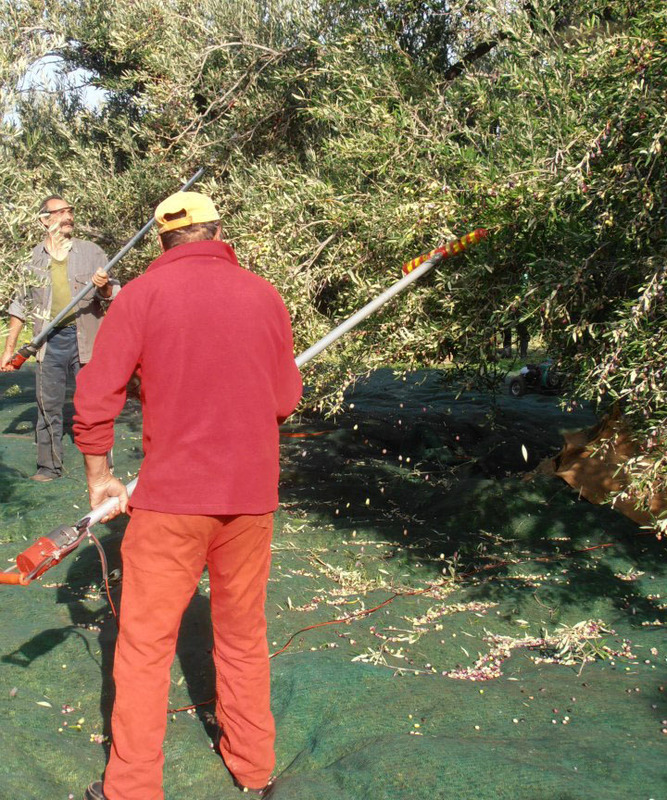 To avoid damage from frost or storms, farmers are sometimes forced to pick olives earlier than they want – which means less olive oil and lower quality. Careful planning ensures the harvest crew and equipment are ready when needed, and milling must be scheduled for a quick turnaround. You can’t leave olives sitting around in sacks without losing quality and flavor. 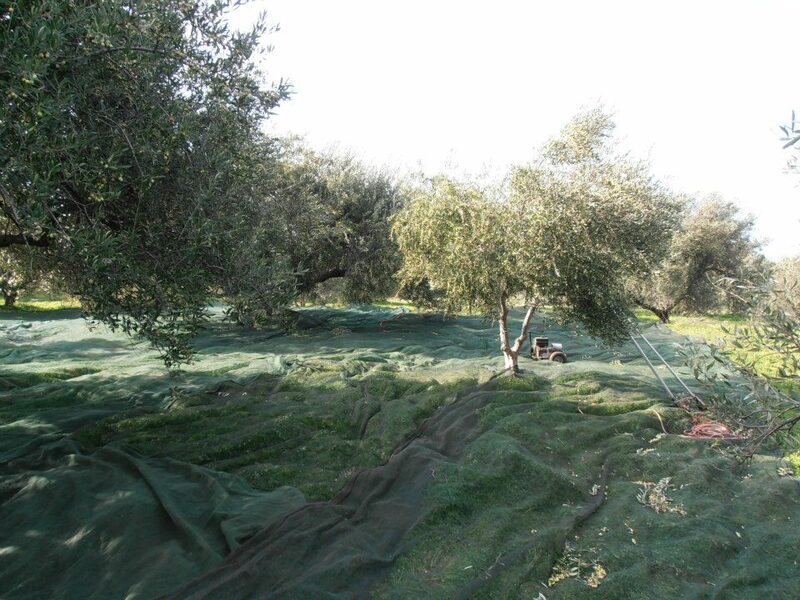 In October some growers from our village were already bringing their catch nets to the olive groves and preparing their storage tanks to receive the precious oil after milling. 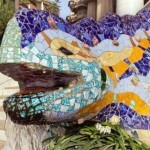 The harvest begins when the fruit is three quarters ripe, and it lasts through the winter months of November to January. During the harvest, families, friends and hired hands converge in the olive grove at first light. Nets are spread under the trees, and sacks are laid out nearby. Every winter harvesters can be seen coaxing the ripe fruit with sticks, long plastic forks, and hand-held motorized rakes. The fruit drops on to the nets beneath the trees, ready to be collected. 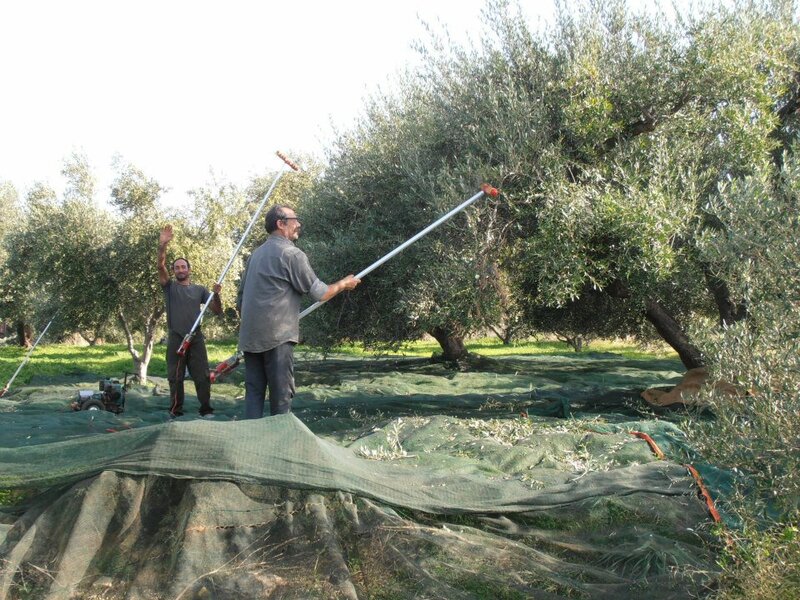 As workers move from one tree to the next, the gatherers sort through olives and leafy debris in the nets. They strip fruit from twigs that have been knocked down, discard the waste, and carry the olives to screened hoppers. The olives (and some leaves) fall through the screen into a funnel and then into a sack. When the sack is full, it is tied and set aside with others or loaded into a truck for a trip to the mill. 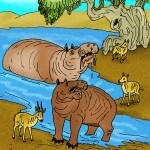 At midday women and children often join the workers in the grove for lunch and family time. Then it is back to work for the remainder of the day. Just before sunset, full sacks of olives are carefully bundled into trucks and taken to the mill for processing. This winter, the olive harvest has never been more important. As the Greek economic crisis continues, many thousands of people are returning to their ancestral villages in search of jobs to support themselves until tourists (and summer jobs) return in spring. 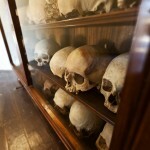 Here in Crete, olives are on everyone’s mind. With over 1.5 million trees and near-perfect growing conditions, Cretan growers claim the highest percentage of extra virgin oil, and reputedly the tastiest in the world. The commercial growers sell off their oil to the big brands, who distribute it around Greece. A large volume is shipped to Italy, where it is bottled (as Italian oil) for export around the world. 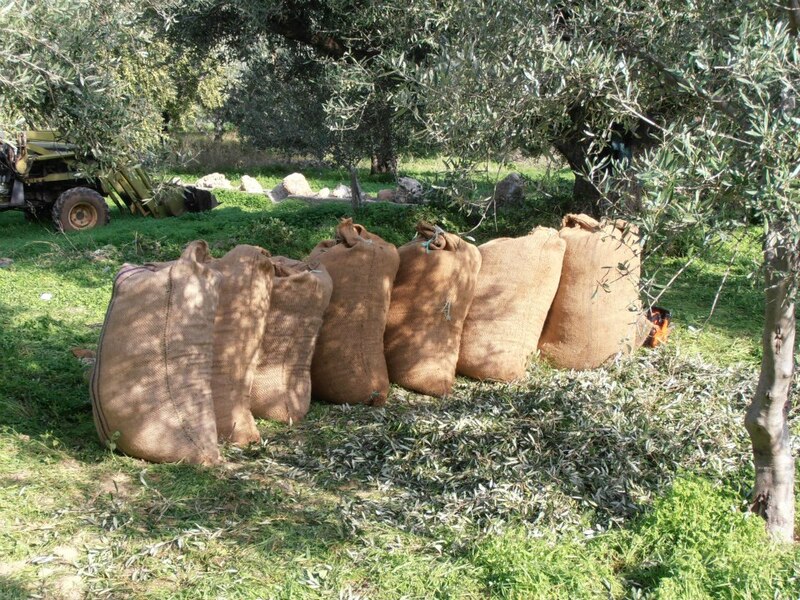 However, the olive harvest in this local grove will provide oil to the local market. 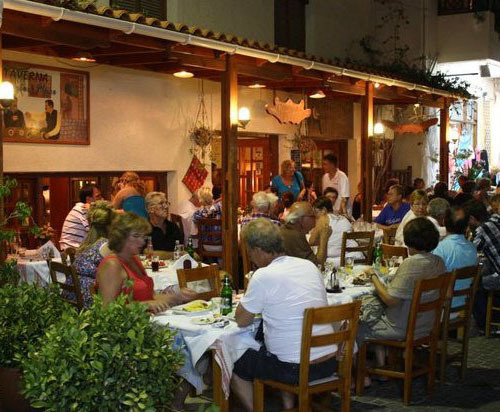 In fact, a much of that oil will be used to prepare tasty meals at Georgios Place, a traditional taverna near our home.